There have been plenty of mentions about e. coli in the news as of late. It has affected our meat supply to vegetables grown on farms throughout the country. Many people ask, can e. coli contaminate our home grown veggies. While the short answer is yes, the long answer would be it depends on where you grow your garden, who are your neighbors, do you wash your veggies before you consume them and so on. As with any problem, the more you understand about what the problem is and what is causing it goes a long way to finding a solution. Being able to stay e. coli free in your home vegetable garden really depends on making sure you understand what e. coli is and the steps you can take to avoid it. According to an agricultural and resource economics update conducted by the University of California, over 12% of food borne illnesses linked to e. coli occur in fresh fruits and vegetables. These are of course fruits and vegetables that are grown on farms and transported long distances. E. Coli is derived from a variety of methods that go simply beyond farm workers not washing their hands. 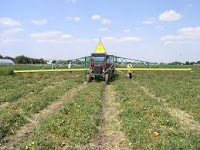 The farm may be using contaminated water, improperly managed manure up through and including not properly washing the machinery that is used to harvest and cut the vegetables. One affected fruit or vegetable in contact with other fruits and veggies can make e. coli spread very quickly. There are steps you can take to reduce your risk of e. coli. According to Doctor Mahapatra, “If the product is labeled "washed", “triple washed" or "ready-to-eat", there is no need to rewash before being eaten. Because rewashing may, in fact, increase food safety risk.” Also be sure to wash your hands and utensils prior to handling any fresh fruits or vegetables, then wash the fruits and veggies as well. Although the possibility of an e. coli outbreak is low among home vegetable gardeners, the risk is still there as your fruits and vegetables may come in contact with those that you buy in the store. Be sure to wash them thoroughly after you harvest them and if possible not harvest until you are ready to eat, which makes for a fresher meal anyway. 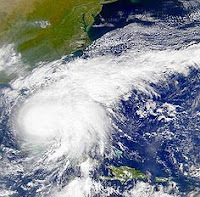 As I write this, hurricane Irene is barreling down straight towards our location. For us here in the NJ, PA & NY areas this isn’t something that happens, since, well, ever in my lifetime. In fact, according to the latest news, nothing this strong has hit this region since 1944, so we are talking over 70 years ago. What I wanted to address in this article is what you can do about your vegetable garden so all is not lost. For help with this article I turned to some friends in the Florida area for their advice. Let me strongly preface this article by saying that your vegetable garden is by no means more important than friends, family and the family pet. make sure you are prepared for their and your safety first. First and foremost harvest what you can. If you are fortunate enough to either know how to can those vegetables or own a vacuum sealer such as a food saver, harvesting lots of veggies all at once won’t go to waste. Harvesting what you can now and bringing that food indoors will do two things. You will have food, just in case that after the storm you are unable to get to a market, and two, the veggies won’t get destroyed with the high winds that you will experience. Second, remove all tomato cages, stakes and other loose items that you use in your garden. According to one source, in heavy winds these items will act like missiles. Get them indoors and out of the way of the wind. Your plants will be fine laying on the ground and you can always prop them back up later. Third, fill up buckets of water and bring them indoors. You may be without power and clean water for a while and although your plants will more than likely survive for a while without a daily watering, it’s better to be prepared. Lastly, after you secure everything down, if you are in serious harms way, get the hell out of there. You can regrow crops, and sow new seeds, but you won’t be able to either if you are no longer around. Always err on the side of caution and follow your local news for any type of evacuation plan. In the cooler months whether it be the spring or fall, when someone asks me what is one vegetable they can grow that produces quickly and will do well when temperatures drop, I always answer the radish. Sure there are plenty of others that thrive great in cooler temperatures, but if you want something quick, I honestly can not think of one where you can reap the benefit within as little as 40 days. They, radishes that is, have very different tastes from variety to variety. Some are very hot (almost an oxy moron I know), while others are simply spicy. They go great in salads, salsas and soups to name a few. My dad would simply pick, wash and eat. I, however, like to mix mine in with some other veggies. The radish is a root vegetable and grows underground. They are part of the Brassicaceae family which also contains other popular vegetable varieties such as broccoli and cauliflower to name a couple. It is written that the radish was first used in Europe in the pre-Roman times. Radish grows best in full sun with a soil pH of 6.5 to 7.0. I mentioned earlier that many varieties of radish grow quickly. Some varieties can mature in as little as four weeks in some parts of the world, but the norm for the most common varieties of radish is forty to forty-five days. Most soil types will work for the radish but they do like sandy loams. Loams are nothing more than a combination of sand, silt and clay that contain large amounts of humus (the final result of compost) which allow for better drainage but still retain water better. If you are looking to grow your radish and get some seeds out of them, know that their seeds growin in siliques. A silique, sometimes called a pod, is where you will find them. It is a “seed capsule” fused by two carpels. Radishes are a great source absorbic and folic acid as well as B6 and Calcium. Although the most common portion of the radish that is eaten is the taproot (an enlarged, somewhat straight to tapering plant root that grows vertically downward), the entire plant is actually edible. The tops can be used as a leaf vegetable. The seeds of the radish can be pressed to extract oil that can been used to create biofuel. Many radish varieties have been shown that their seeds contain as much as 48% oil content. Finally, if you ever find yourself in Oaxaca, Mexico around Christmas time (December 23rd to be exact) you will find the locals celebrating Noche de los Rábanos or the Night of the Radishes. They will carve religious and popular figures out of radishes and display them in the town square. 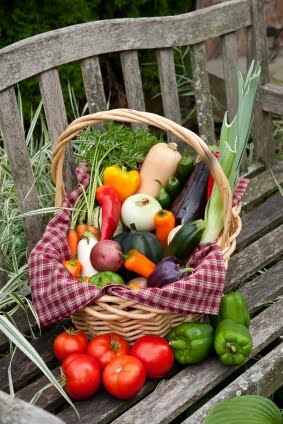 Sure the months are still warm, even hot in many areas of the world, but that is no reason to not start thinking about what you will be planting in the cooler autumn months in your home vegetable garden. That time of the year, when the leaves change to vibrant colors and the kids head back to school, will be here before you know it. 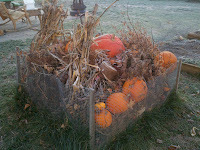 My discovery of fall and winter garden (on a larger scale anyway) is still fairly new to me. I did not expand my garden during this period of the year until about 10 years ago, maybe 15 but that is probably pushing it. What I found were some favorites that I like to grow. Favorites because for starters my family eats them, second, they are easy to grow, and third they love cooler temperatures. Which one? Doesn’t matter, pick! I love them all, although I have to admit a crispy romaine variety is my favorite. Lettuce does great in the cooler temperatures and I have read in various USDA reports that many varieties of lettuce will enhance with flavor as temperatures begin to drop. Right about now to the next week or so is when I begin my seeds indoors. It is a bit cooler inside which makes for a perfect environment for the seeds to germinate. I will move my seedlings outdoors around the end of August, beginning of September. It’s not just for fictional cartoon characters anymore. Spinach has been shown to be loaded with so many vitamins and nutrients that it has not only become a mainstay in my personal diet, but also in my home vegetable garden. With my new vacuum sealer I know I will be storing plenty of these great greens all year long. You can start spinach indoors and move it to the outdoors just as you would lettuce. What finishes off a salad like a good radish. Champions are my favorite as they are not too spicy but still add plenty of kick to a nice bowl of fresh mixed lettuce and spinach (see the theme occurring here?). Radish grows rather quickly and there is no need to start them indoors, or at least not here in NJ. I wait until the first or second week of September then use one of my four foot by four foot raised bed for nothing but radish. Needless to say in 35 to 45 days I have all the radish I will need until spring rolls around. If I get lucky and time it just right, I may be able to get a few harvests. If you are in an area of the country like me that experiences various temperature changes, and you may not have thought about gardening in the autumn months, start with these three and you won’t be disappointed. If maybe these are not your ideal options then you can always look towards broccoli, carrots and kale to name three more. If you are thinking about broccoli though, you better get started, they take awhile to grow. To understand how to get rid of a pest in the garden, I always like to start by trying to understand what it is I am actually trying to get rid of. In this case the cabbage worm. The cabbage worm is a generalized term used for four kinds of Lepidopteran. More specifically their larvae. Lepidoptera is an order of insects, a very large order, that include such insects as the moth and butterfly. These insects, as they relate to cabbage worms, like to feed on cabbage and other cole crops. If you are growing broccoli, cauliflower, radish, or rutabagas, to name a few, you may find cabbage worms. The four kinds of cabbage worm that are referred to are, the imported cabbage worm, the cabbage looper, the cabbage webworm, and the diamondback moth. 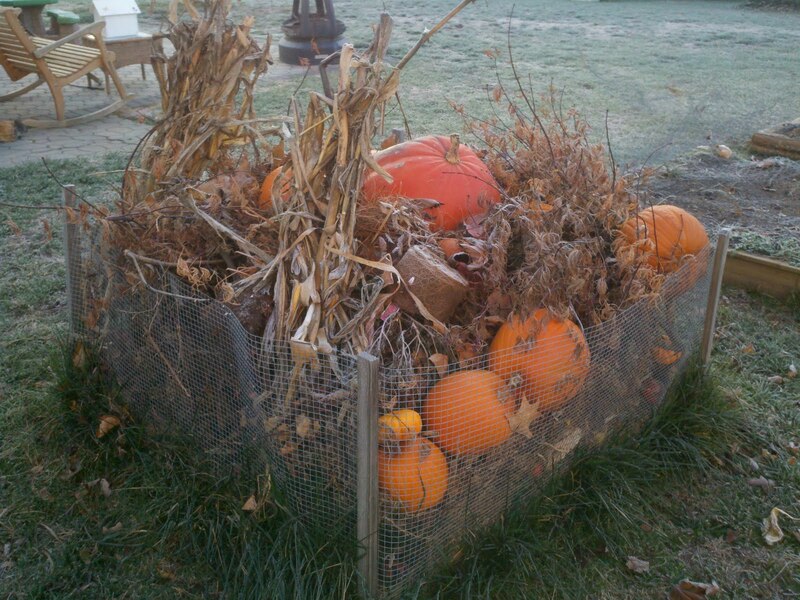 If not handled early they can literally do tremendous amounts of damage that you might not be able to recover from in the same growing season. As with many other harmful insects in the vegetable garden, you will want to start with finding out what their natural predators are. This will go a long way in making sure you keep your garden safe from harmful insecticides that could also wipe out beneficial insects as well. Natural predators to the cabbage worm are parasitic wasps, soldier bugs and lace wings. To attract parasitic wasps, plant nectar rich flowers in the garden, thyme, dill, savory and other herbs. Dill, fennel and coriander are excellent choices to attract lace wings. For soldier bugs, milkweed, goldenrod and hydrangea work well. Attracting beneficials may take some time, and if you are inundated with them, time may be something you do not have a lot of. There are a number of harmless sprays and recipes on the internet, such as pepper-gralic sprays. A Google Search on the words “Pepper Spray” will yield plenty. You can also purchase over the counter sprays such as Neem oil and Neem oil soap. They work well, but will need to be reapplied after rain or heavy waterings. Finally, there is Diatamaceous earth. The downfall of DE is that it affects every insect in your garden. It does not distinguish between the good ones and the bad ones. Also, it requires multiple applications and is best applied during dry times throughout the day. 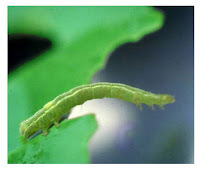 A recent poll I read had the cabbage worm as the number two culprit in home vegetable gardens. Rest assure there a variety of solutions out there, available to you, either for free or very low cost.